Michael Wynne, Silvia Rodrigues, Marissa Salvesen, Tom Wilson, Milton Harrington and Jen Champagne celebrating the announcement of the 2018 Community Grants. The Derby-Shelton Rotary Club is proud to announce over $7,500 in Community Grants to Valley agencies serving the community. 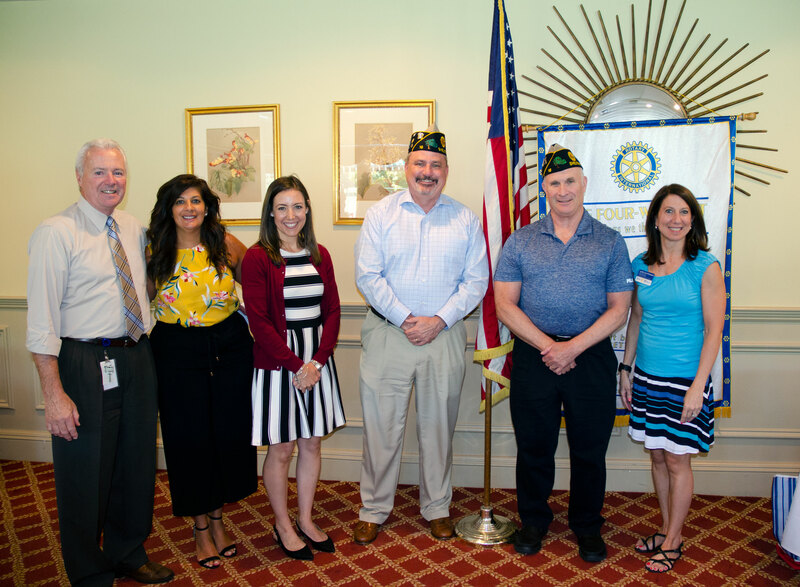 At the weekly meeting on July 19, immediate Past President Silvia Rodriguez announced the grants a the Club heard from representatives from the American Legion, the Journey of Dreams Program at United Methodist Homes and the Parent Child Resource Center. The grants were made with funds raised during the Club’s annual Hoptoberfest and Shelton Day programs. At the meeting on the 19th, Tom Wilson and Milton Harrington spoke about the value of sending Shelton students to the Boys State Program and Tom shared that his son had participated in previous years and the experience inspired his career decision which now involves public service in government. Marissa Salvensen from United Methodist Homes told of the unique experiences for senior citizens made possible through their Journey of Dreams program. They have helped check of “bucket list” experiences for many members of their community. Michael Wynne thanked the Club for the sponsorship of the Pedal for PCRC event held earlier this year and enumerated the good works made possible by the proceeds raised from the event.